Providing safe and enjoyable winter recreation for snowmobilers, cross-country skiers, dog sleds, snowshoes, and tracked ATVs. The Sangre Snowrunners Snowmobile Club is headquartered in Westcliffe. Volunteers maintain over 60 miles of trails in the Ophir Creek / Greenhorn Mountain area in the Wet Mountains southeast of Westcliffe. The club maintains and operates a Piston Bully snowcat that grooms these trails for safe and enjoyable winter recreation for snowmobilers, cross-country skiers, dog sleds, snowshoes, and tracked ATVs. The trails are marked with location and safety signs. Some of the snowmobile trails are maintained in the summer which also supports summer motorized recreationists (ATV/jeeps) and nonnotarized (bikers, horses and walkers) recreationists. The scenery along the trails in the winter is spectacular. The club offers fun group rides at various times throughout the season. The Sangre Snowrunners operates under the Colorado Snowmobile Association (CSA) which is an outspoken group for the rights of winter motorized recreationists and protection of access on public lands. 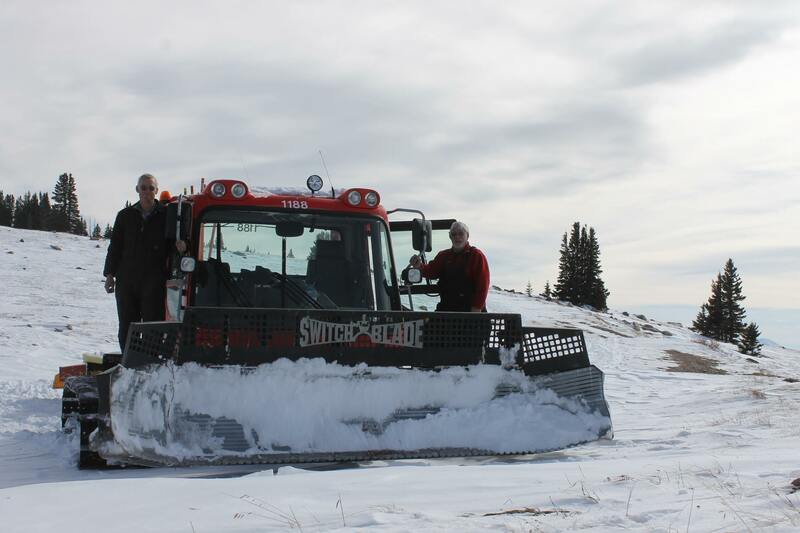 The snowcat is also used to aid snowmobilers and winter enthusiasts when needed. The Club needs funds for maintenance on the very complex and aging snowcat, fuel, trail signs and markers. Additional members are welcome to share their enthusiasm for the winter outdoors. Funds for maintenance on the very complex and aging snowcat, fuel, trail signs and markers.